The International Association of Amusement Parks and Attractions (IAAPA) Expo 2017 brought tens of thousands of industry professionals to Orlando’s Orange County Convention Center this week to debut new innovations in rides, games, and food for parks worldwide. For those who don’t know, IAAPA is the premiere conference and trade show for the multi-billion-dollar global amusement park and attractions industry. 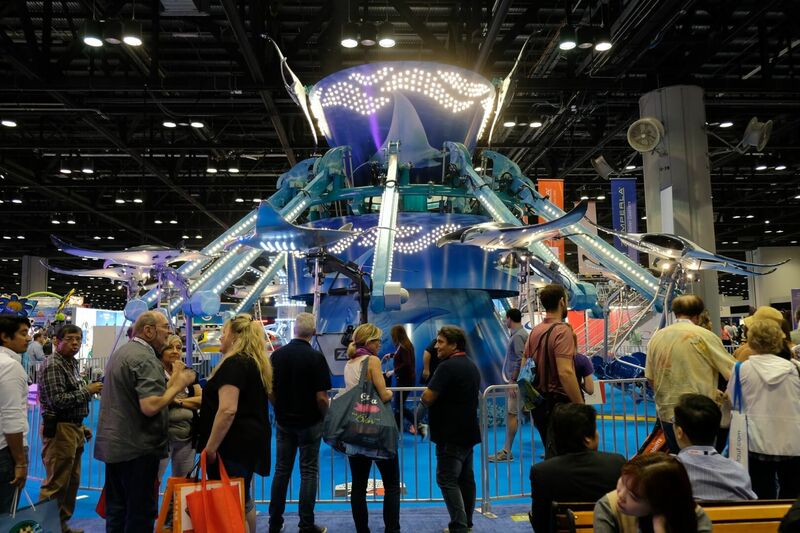 Founded in 1918, the International Association of Amusement Parks and Attractions (IAAPA) is the largest international trade association for permanently situated amusement facilities worldwide. 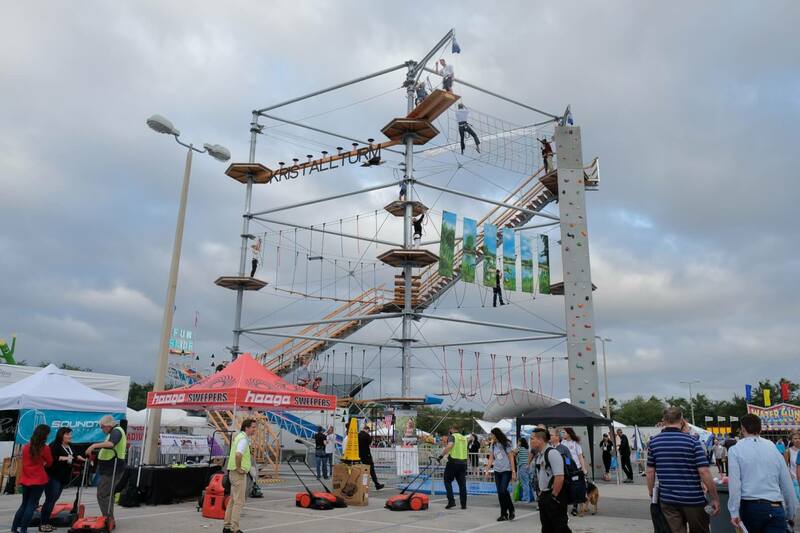 The organization represents more than 5,300 facility, supplier, and individual members from more than 100 countries, including professionals from Amusement parks, theme parks, and attractions to name a few. 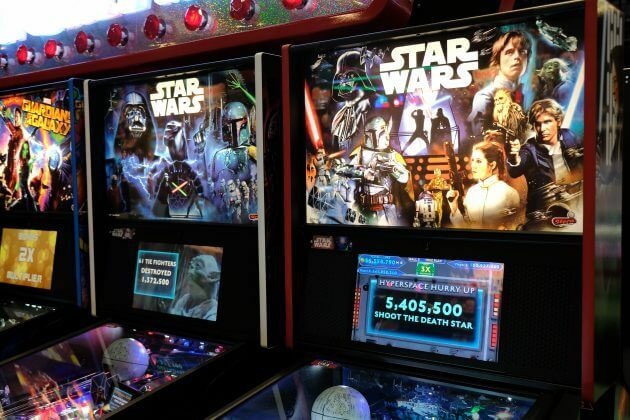 This year’s event, similar to that of the past was huge! 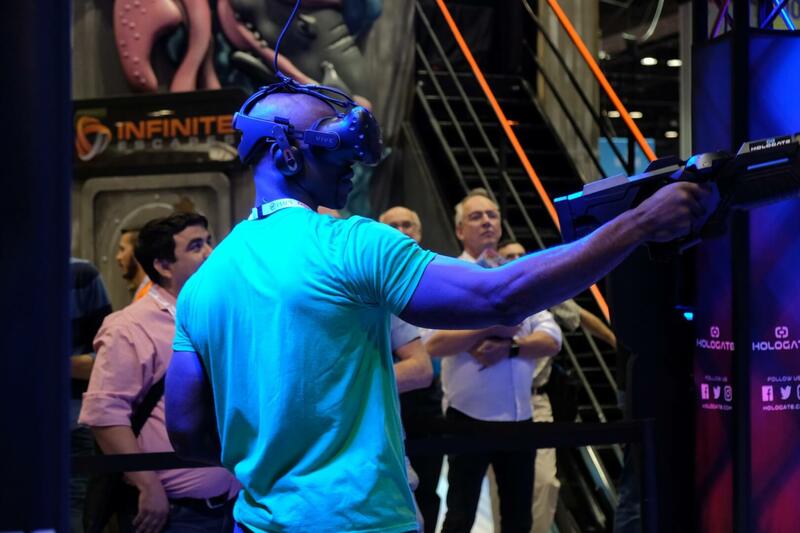 The expo was packed with virtual reality experiences, exciting rides, fun food, talking robots and immersive gaming and themed environments. 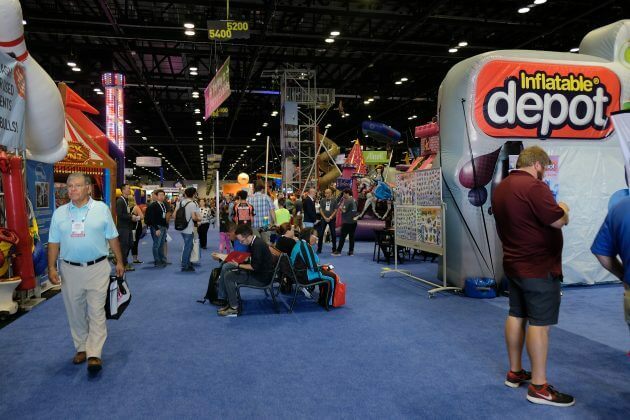 In fact, the event is massive and full of enough booths to last you the entire week. 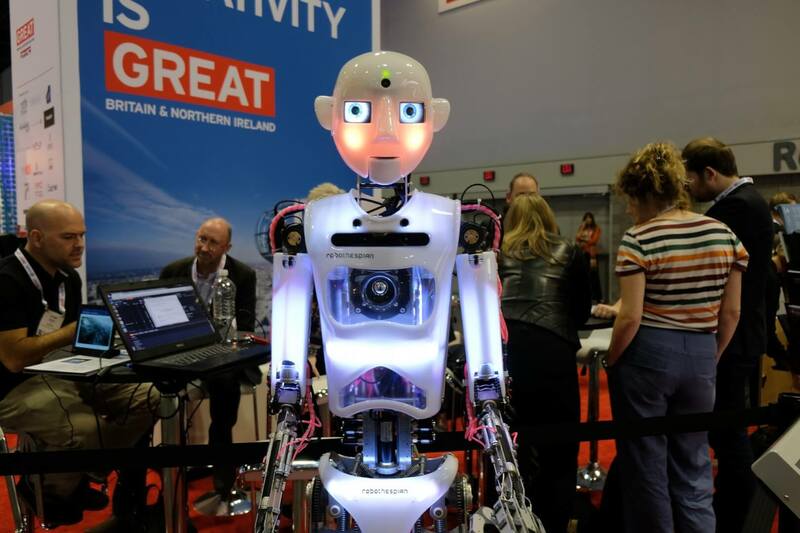 To make it easy for you we put together some of the highlights from this year’s show floor, in no particular order. 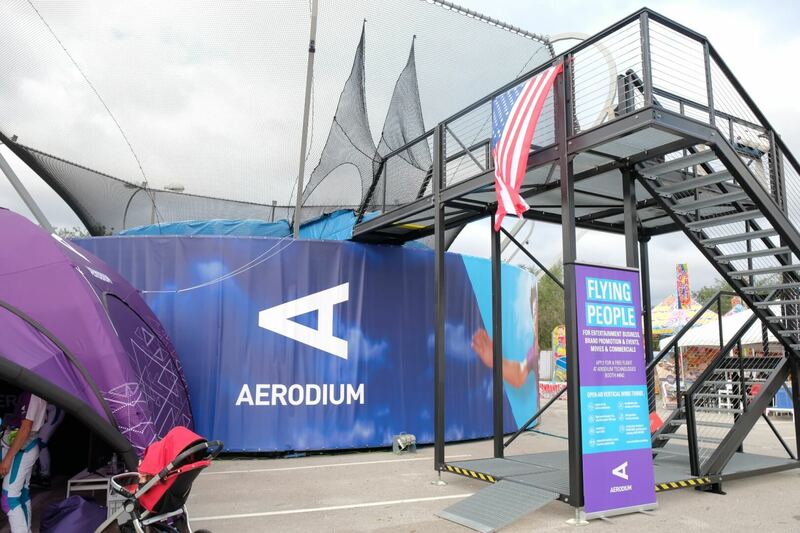 An exciting experience that took visitors to IAAPA to new heights was the Aerodium wind tunnel. The experience was set up in the outdoor section of the expo where guests to the attraction got to put on a jumpsuit and fly above the Orange County Convention Center’s parking lot. Once visitors would put on their gear, they would then watch a quick safety video and go through a short training session with the company’s representatives. After this short briefing they got to hit the skies! 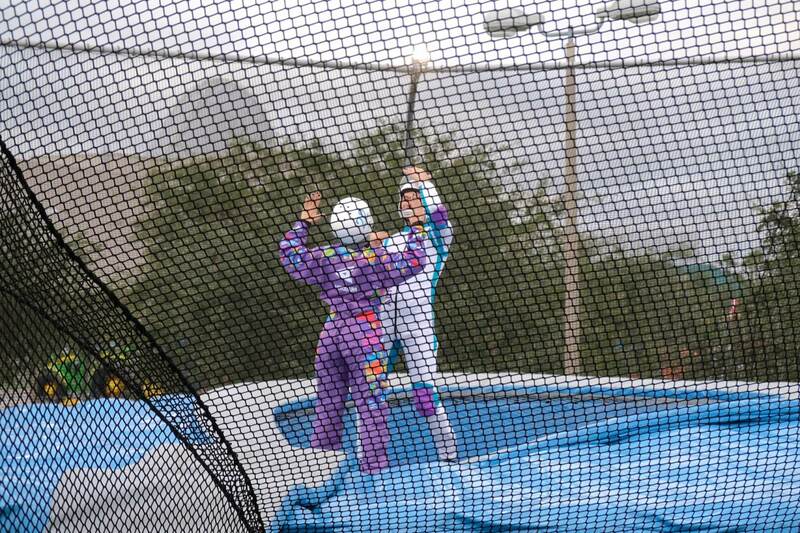 Here is video of one of the instructors from the experience showing off to visitors. In the video you can see him doing some quick turns in the air. 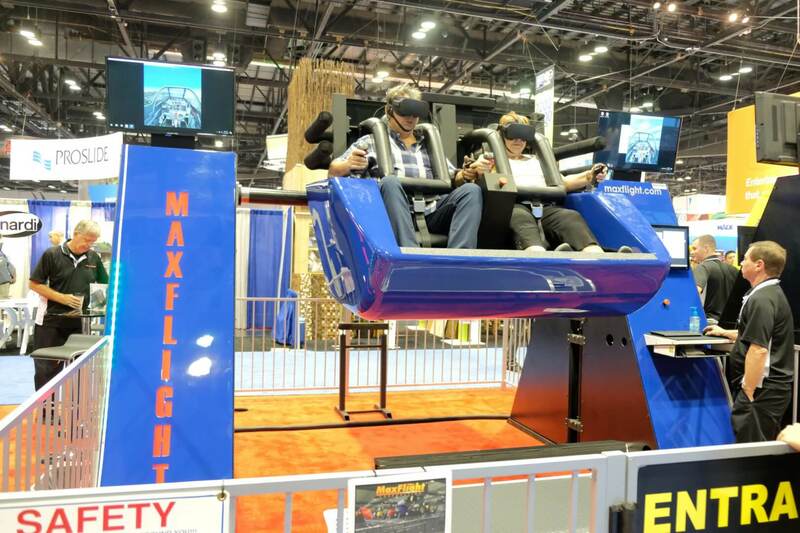 Guests walking around the show floor were surrounded by different VR experiences, one of the more classic ones offered was the MaxFlight simulator. 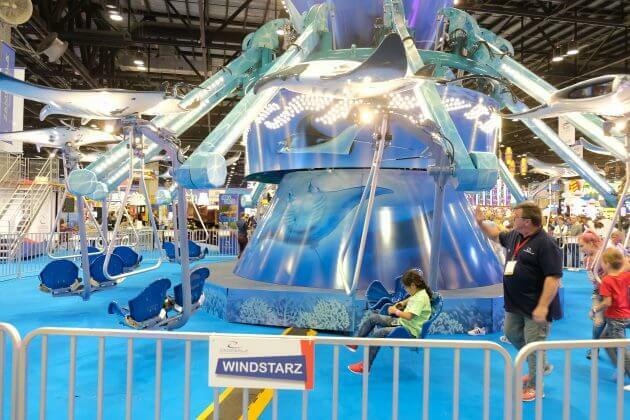 You may have seen something similar to this in a shopping mall or other small carnival. 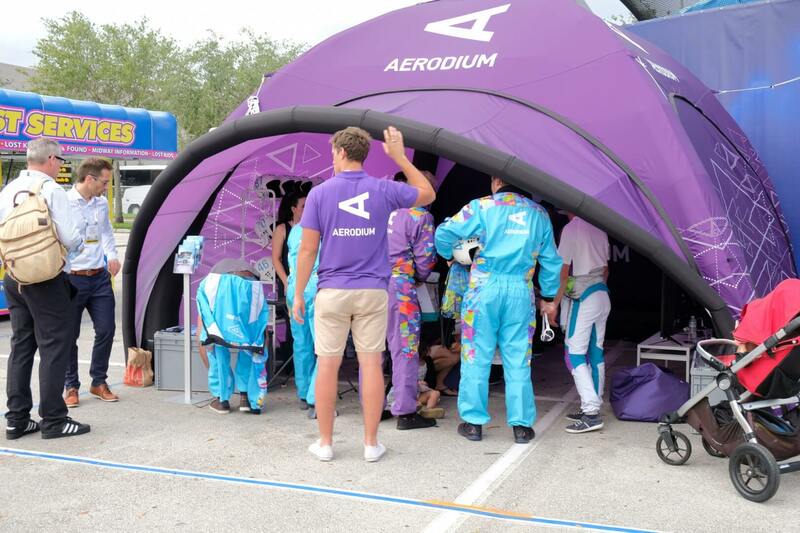 Visitors who took on this experience got to fly a virtual plane over a small island. 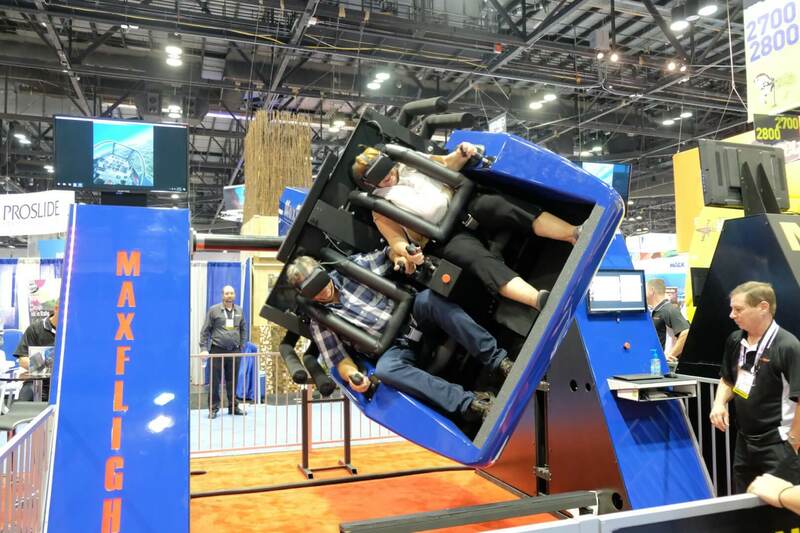 A fun part of this simulator is the fact that it does complete inversions and twists, making for a wild ride. Guests to the attraction could be heard screaming from across the show floor, especially during the times of when the simulator flips. Another popular VR experience that had a line wrapped around its exterior was by Hologate. This virtual game boasted high frame rates and buttery smooth graphics. The company claimed that the use of its higher frame rate video helped eliminate motion sickness among guests. Here is some video of attraction, including a look at the virtual land guests experience during it. 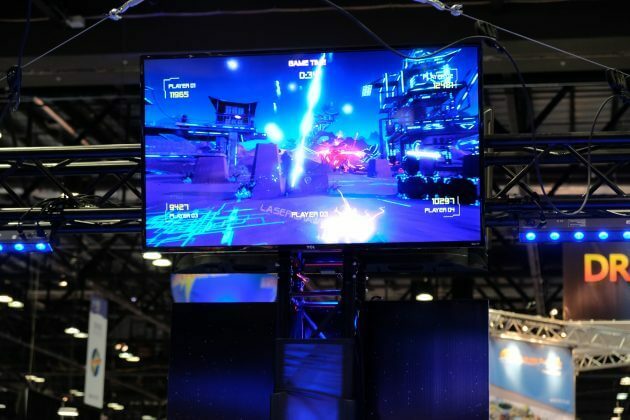 The scenes of the actual game were of a well deigned sci-fi land, making this simulation one of the more transportive experiences at the convention. One fast paced attraction was the Phoenix Pro virtual driving Formula 1 Simulator by Wave Italy. This simulator is a technically advanced product, handmade by technicians and craftsmen in Maranello, Italy. 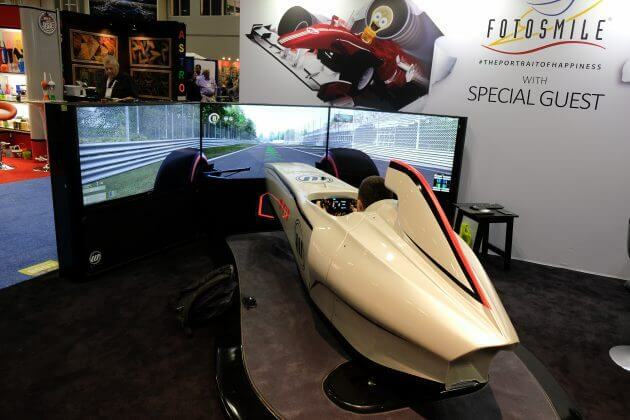 This thrilling game transported visitors into a Formula 1 race with a streamlined race car and matching sound effects and visuals to accompany it. 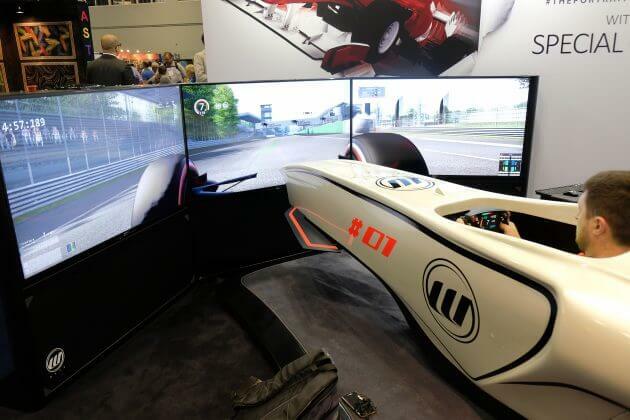 Here is a look at the simulator in all of its glory! Be sure to listen for the real life racing sound effects in the background. This virtual reality game took you to space to battle against aliens. 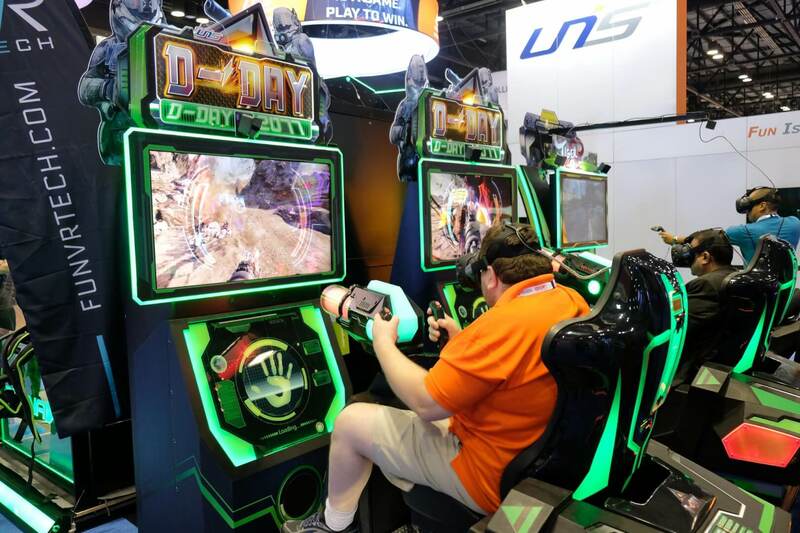 “D-DAY 2077” is a VR game that features a motion platform and haptic feedback in the gun which responds to actions that occur throughout the game. This includes getting shot at and other physical movements. 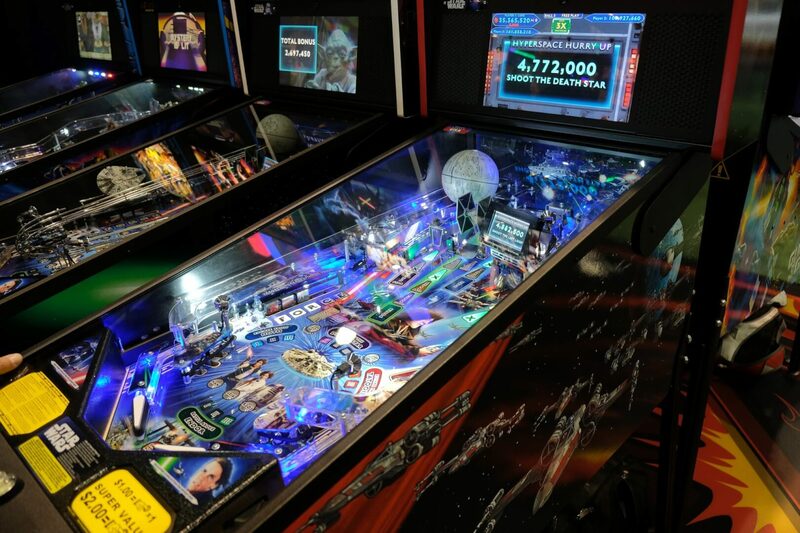 Here is a look at the extraterrestrial experience. Be sure to watch as the player moves in motion with the game’s story. 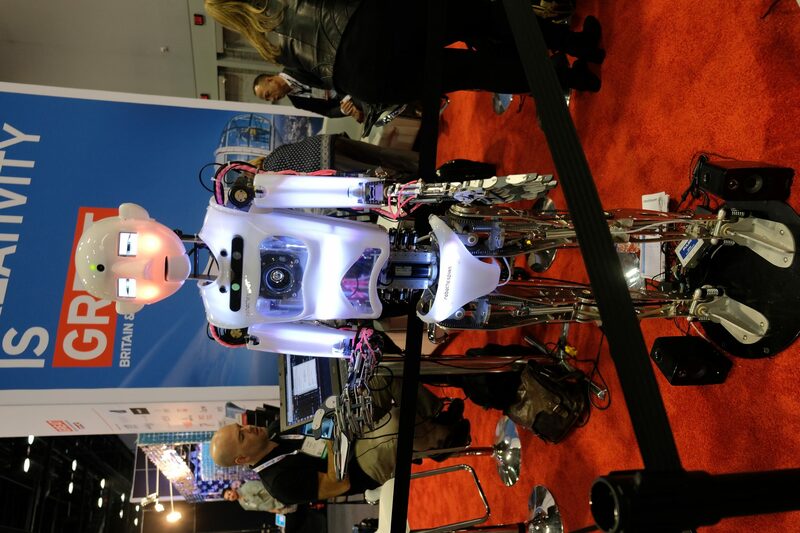 Robothespian was one of the more interactive displays at the convention as this robot would actually talk back to you as you spoke with it. 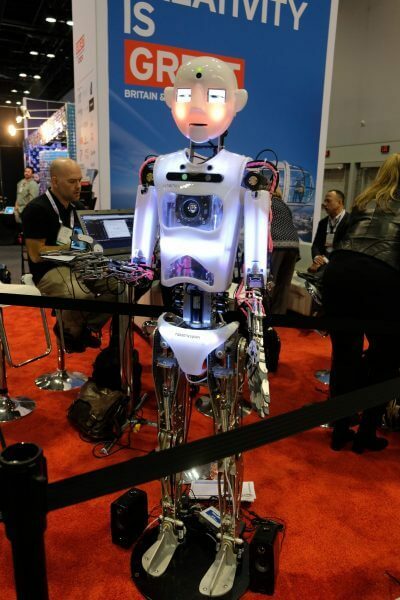 Created by Engineered Arts, Robothespian is designed to immediately start talking with prerecorded phrases when someone walks into its view. The robot is also capable of analyzing faces for age, gender and emotion, and responding accordingly. During the presentation, a member of the company was in the U.K. talking through the robot and interacting with guests to the booth. 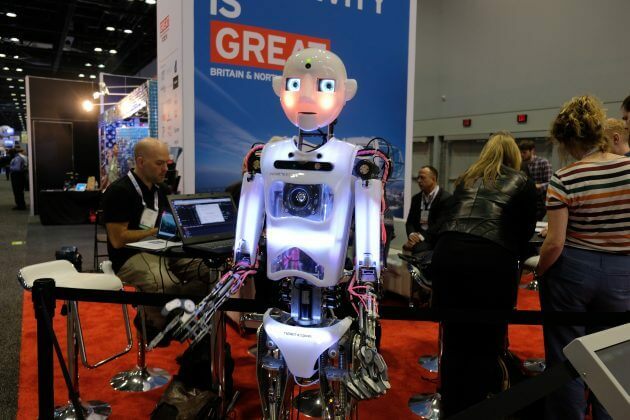 During the day of the expo the robot sang a little Elvis Presley. In the video below, be sure to watch its eyes as it follows subjects in view as it interacts with them. For all the “Guardians of the Galaxy” and “Star Wars” fans out there, you’ll appreciate these themed Stern Pinball machines. 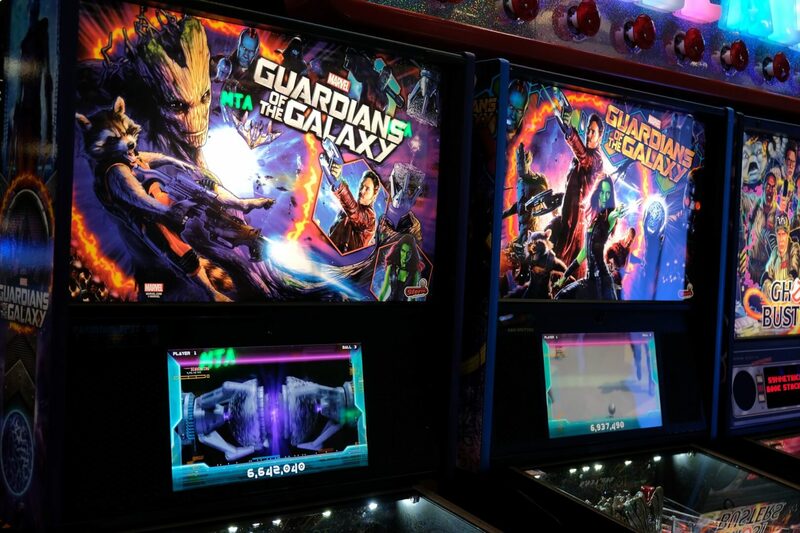 Each machine is decked out with characters from the beloved films along their displays and includes different elements from the movies inside each of the game’s play fields. Take a look at these intergalactic machines in the video below. You may have to play the video a few times to really take in all of the detail that has gone into these well themed pinball machines. 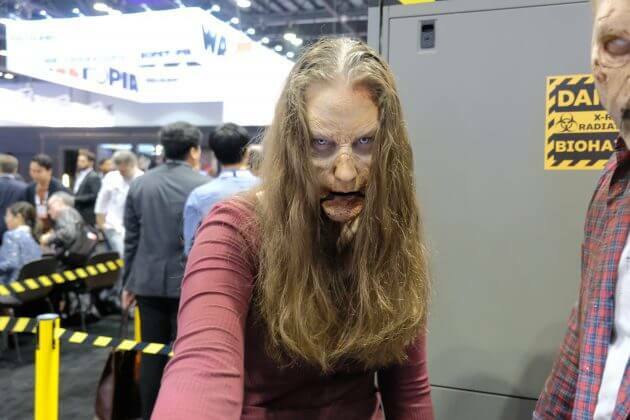 A scarier part of the event had to be zombies walking the floor of the Triotech booth. 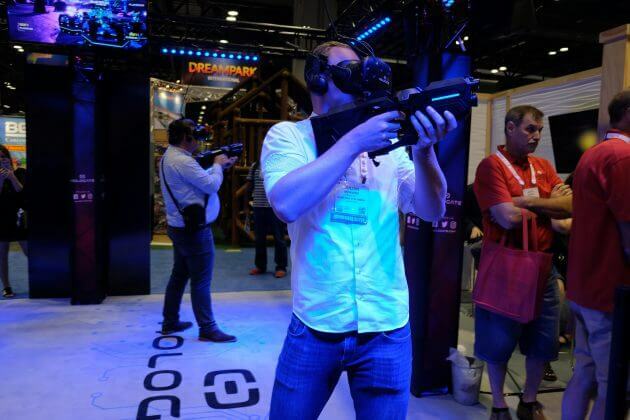 The undead were present to celebrate the company’s virtual reality “Fear the Walking Dead Survival” Attraction. 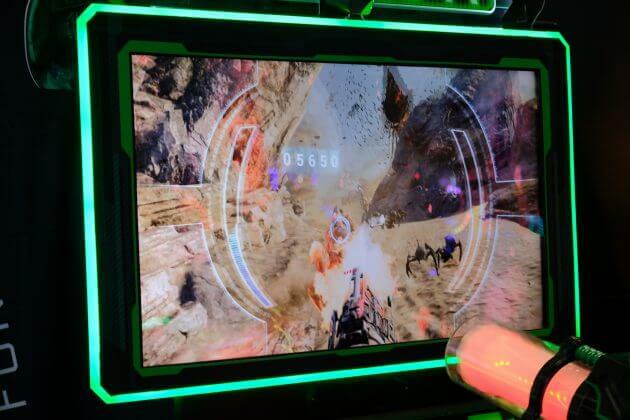 This virtual experience is multisensory and combines a thrill ride, escape room, maze, and an interactive game, all set against the horrors of a zombie apocalypse. The adventure puts the guests right in the middle of an episode from the TV series, letting them live the same experience as the characters in the show. These zombies however were on the nicer side as they stopped and posed for not only these photos but also for selfies with guests to the booth. 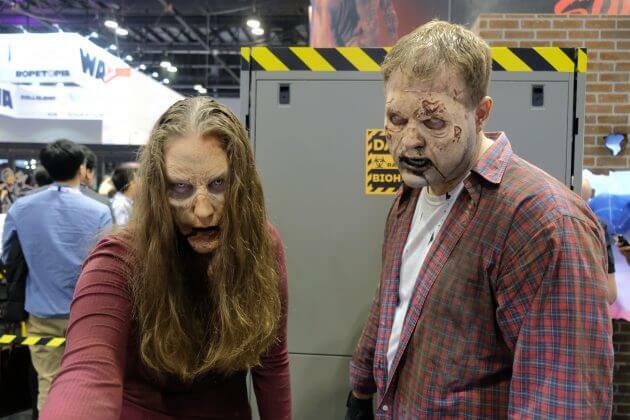 Here is some video of the zombies walking around the booth. Another one of the spookier booths at the convention had to be Froggy’s Fog. 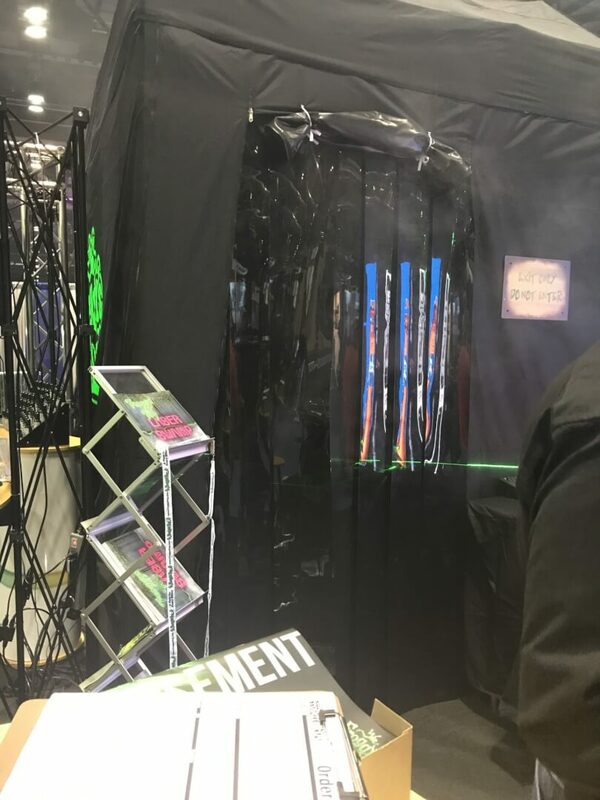 The popular fog machine creator had a demo of their Laser Swamp, which can be purchased in a Deluxe Laser Swamp Package. The package includes lasers, fluid, a hazer, a spider prop, ceiling netting, wall netting and many other elements that bring this scary attraction to life. Here is walk through video of the experience. Pay close attention to the audio as you may hear the camera operator screaming in fright from a spook. 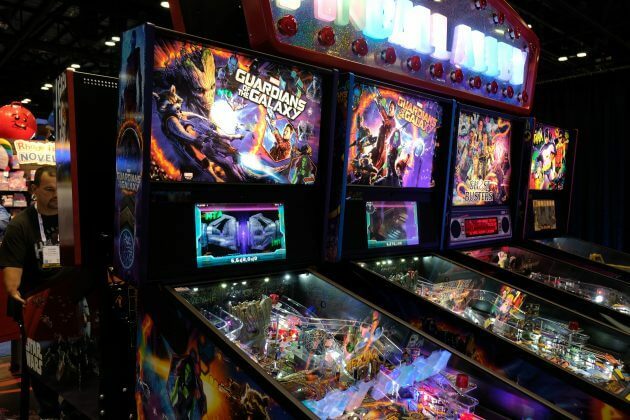 Some other attractions found throughout the convention floor and even outside included different carnival-like attractions. 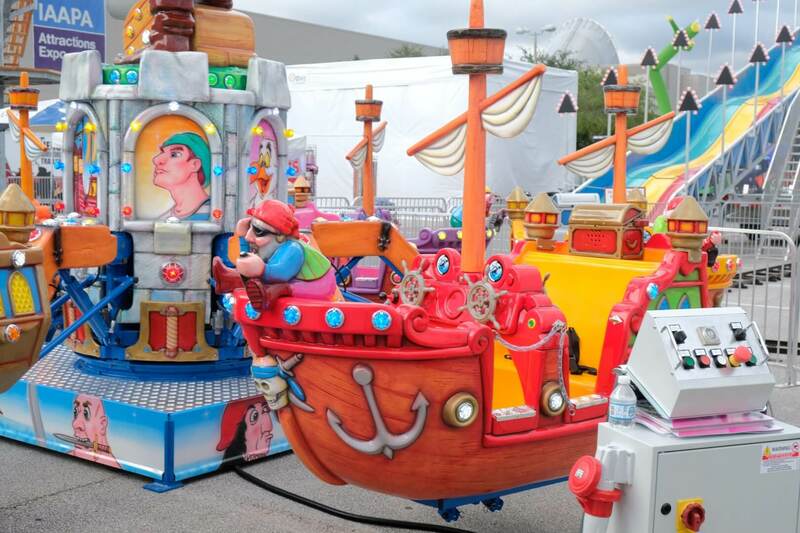 Some of these rides were set up as displays as they were not functioning while others were open for guests to enjoy. The underwater themed Windstarz ride had to be the most fun from the lineup. In fact, the line for that attraction wrapped around the ride itself. A tastier part of the convention had to be the food. 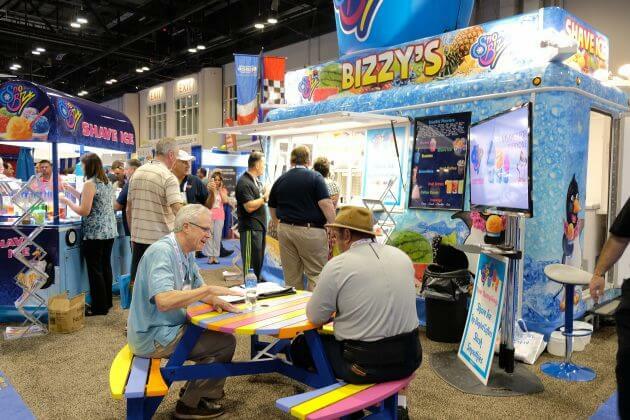 Every year different food suppliers attend the event to show off their cuisine. Below is a look at some of the offerings that were present at this year’s convention. 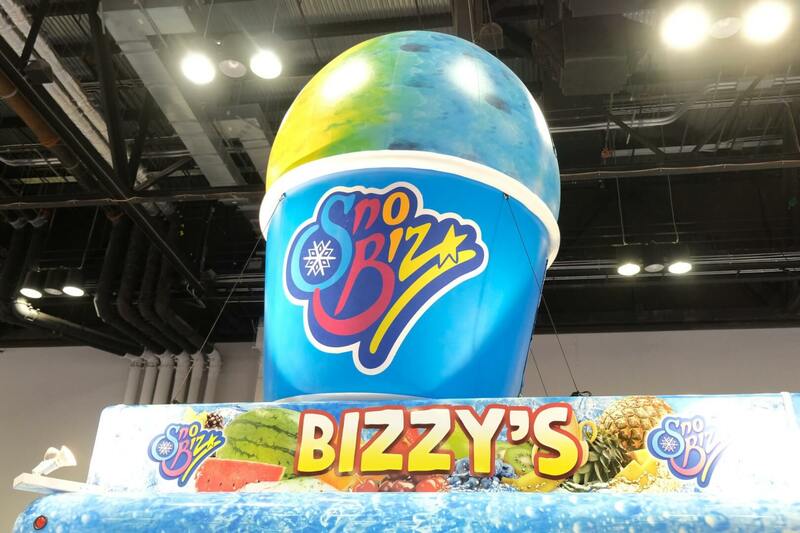 Snow cones were popular among the convention floor as there were multiple booths with this offering. 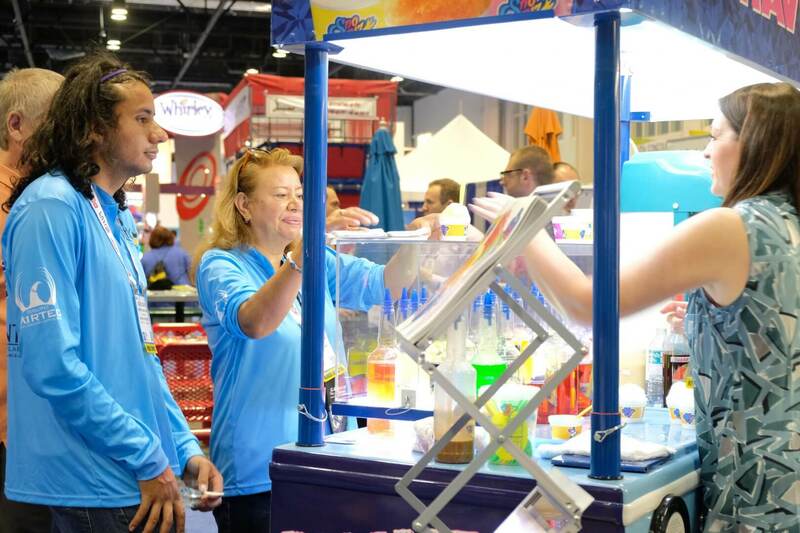 One of this year’s popular flavors had to be the butterbeer and coconut, which seemed to be in the hands of many of the guests who surrounded the booth. 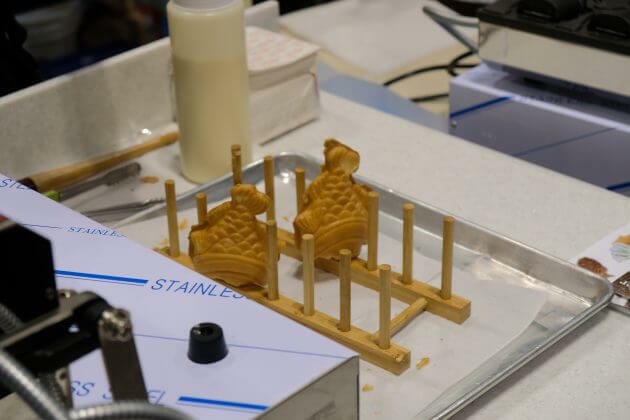 Another one of the popular treats, which had the longest line of any food item had to be the Ice Cream Taiyaki. 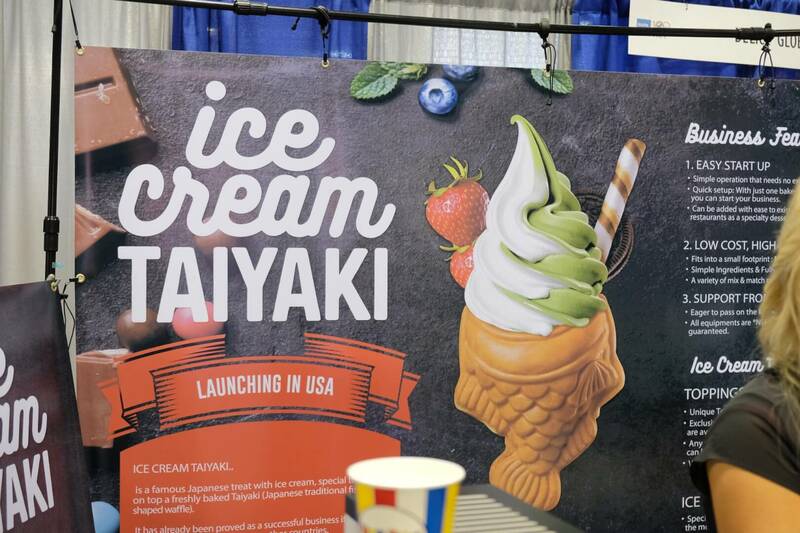 This brand of ice cream is Japanese and is known for serving inventive flavors in a fish-shaped waffle cone. 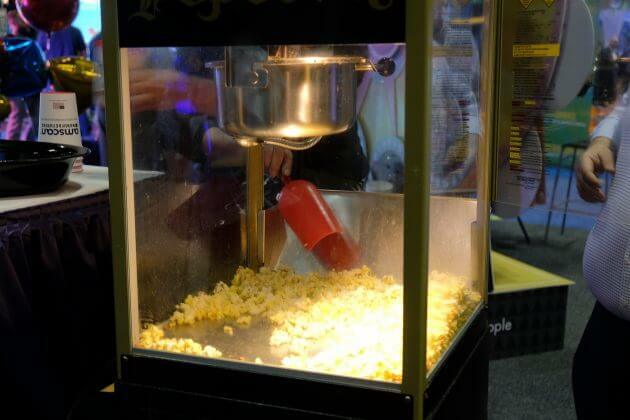 Everyone’s favorite theme park foods, fries, tater tots and popcorn was also available. 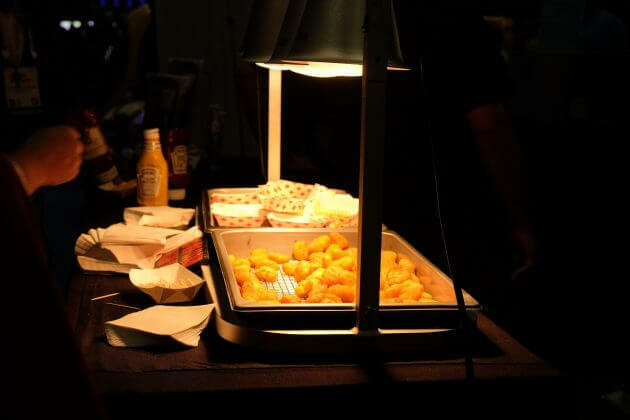 These foods were another crowd favorite and the tater tots were served with different dipping sauces. 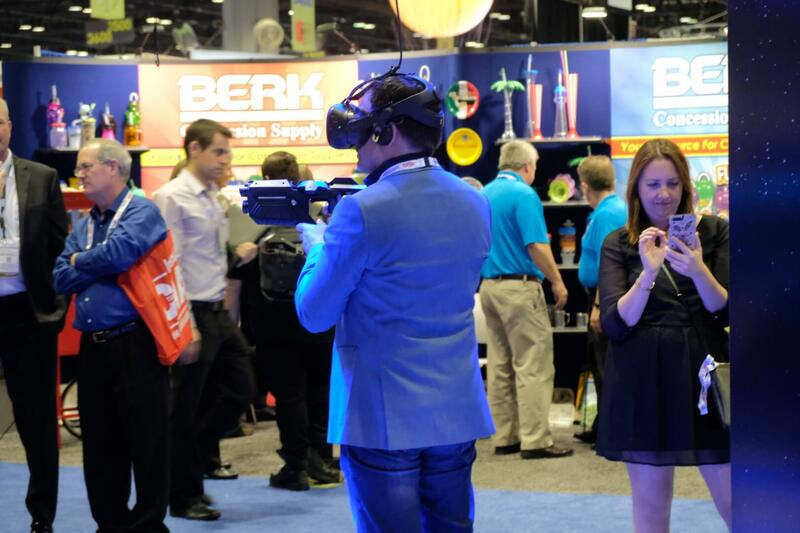 These were only some of the many highlights of the 2017 IAAPA convention as the event contained an incredible amount of booths and experiences. 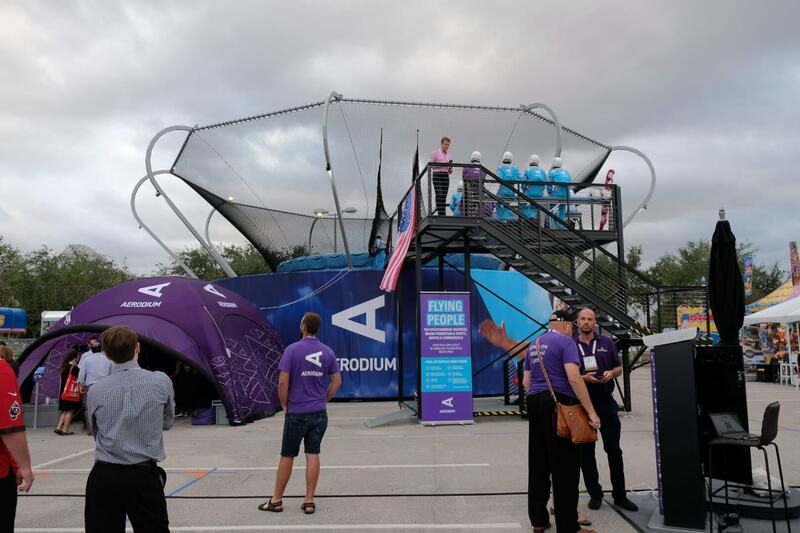 For more information about IAAPA, be sure to visit the official website. 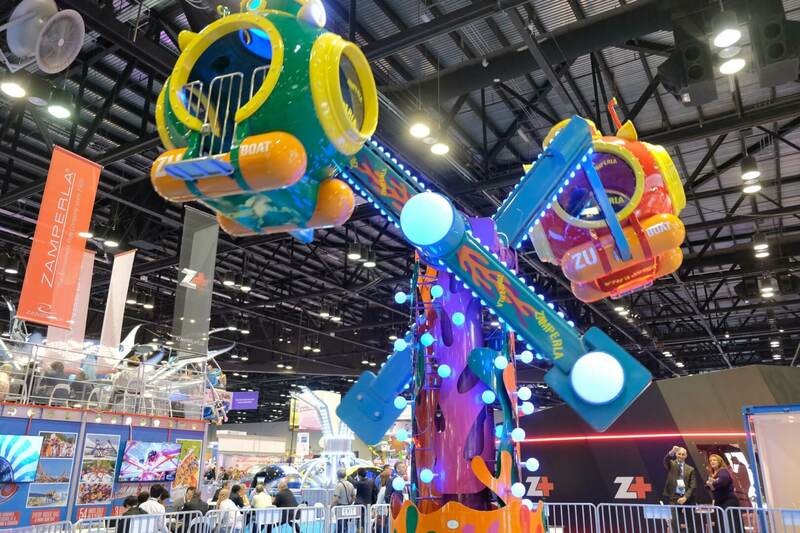 Also, be sure to check out the rest of our coverage from IAAPA 2017.